There’s no shortage of adventure when it comes to things to do in Traverse City. Are you visiting Michigan this winter? When you arrive in a cool new city, you want to know where to explore and what to do. Since the choices can often be overwhelming, we took the guesswork out of it for you. Whether you’re traveling for an extended family stay, quick weekend trip, or just passing through, we’ve gathered a list of some of our favorite things to do in Traverse City. Located in northern Michigan, this coastal city looks like a scene plucked straight from a Hallmark movie. With only 15,000 residents, it has all the charm you’d expect of a small town. 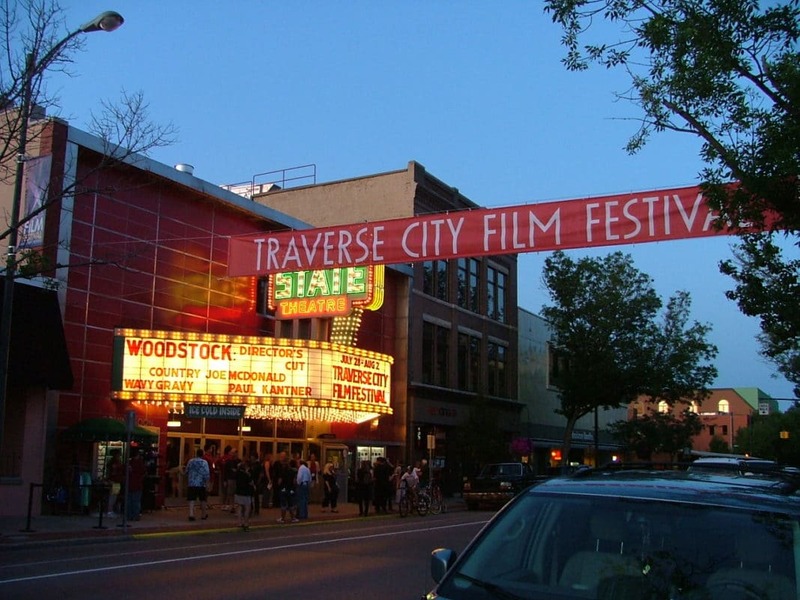 So what put Traverse City on the map? That’s just the thing. It’s not really on the travel radar yet. While the main industry here is tourism, it’s owed all to the tart cherries that grow on the land. Due to the ideal climate, the fruit flourishes and the National Cherry Festival is held here every year. Walk the streets and you’ll find that it’s still as authentic as ever. Travelers seeking a relaxing vacation will love driving under the shade of tall oak trees and catch stunning views of the port from what seems to be every turn. When it comes to choosing the best things to do in Traverse City, the only hard part is narrowing it down. First things first. Even if you have an itinerary, one of the best things to do when you arrive in a new city is just walking around and exploring. Front Street offers plenty of opportunities to do just that. 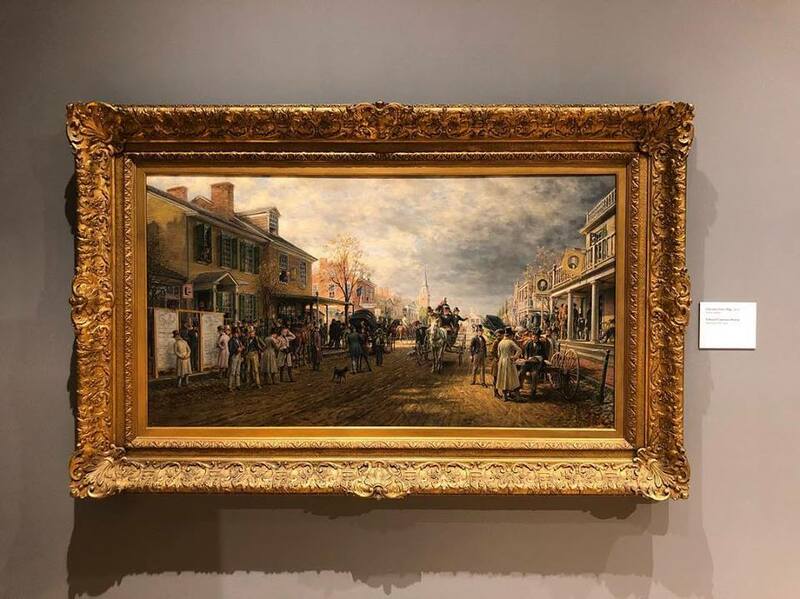 Over the years, the city center has transformed from a business center into a small town cultural hub filled with great educational opportunities, shopping centers, and trendy dining joints. Locals and travelers alike come here to attend performances at the symphony orchestra and see a show at the Old Town Playhouse. Some of our favorite events here include the annual film festival, the National Cherry Festival (of course) held every July, and the Winter Comedy Festival. But that’s not all. There’s also a flourishing farmer’s market scene, art galleries, antique shops, and more. Come and experience one of the most fun things to do in Traverse City - roaming down Front Street. This historical site looks more like a fairytale castle plucked out of Ireland than an estate in Michigan. That’s what makes paying a visit one of the best things to do in Traverse City. Where else are you going to find views like this in the midwest? These old Victorian buildings have been preserved and turned into some of the most beautiful destinations for shopping and dining out that you have ever seen. If you’re looking for a fun place to bring the family, you’ve found it here. 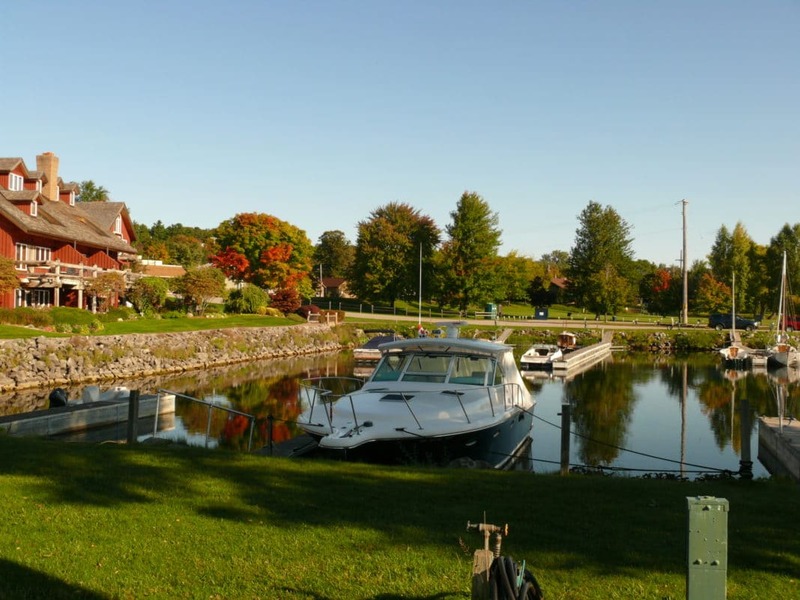 Sitting on sixty-three acres, the Village at Grand Traverse Commons offers scenic pedestrian walkways, large lawns perfect for picnicking, a lovely arboretum, and 480-acres of hiking and biking trails. Sneak some exercise in on a bike ride along the banks of Kids’ Creek. If you’re interested, historical tours of the grounds are available. Are you looking for a relaxing way to spend your day? Suttons Bay has just what you need to catch up on that much-needed R&R. Even just sitting and watching these tranquil blue waters will put your mind at ease. With the holiday season in full swing, it’s easy to get caught up in the hustle and bustle of family stress and last-second gift shopping. Take time to unwind and practice mindfulness in this coastal community. Sutton Bay is only a twenty-minute drive from Traverse City and offers a delightful place to enjoy quality time with the people who matter to you most. On a sunny day, the beach is a fun place to walk and as the light shines on the water, it reveals a brilliant turquoise. Even in the winter, it’s a magical place to be. When the water freezes over, the scene is transformed into a winter wonderland. Keep a cup of hot coffee on hand and a sweater to fight the cold. After you’ve walked around for a bit, there are plenty of activities to choose from. Art aficionados will appreciate there are several galleries to choose from. The dining scene offers plenty of options too. Many of the restaurants and cafes serve locally-sourced food and offer patios for al fresco dining. Kids will go bananas over the local ice cream shop and candy store with award-winning fudge. Drive northwest of Traverse City to the beautiful Leelanau Peninsula. 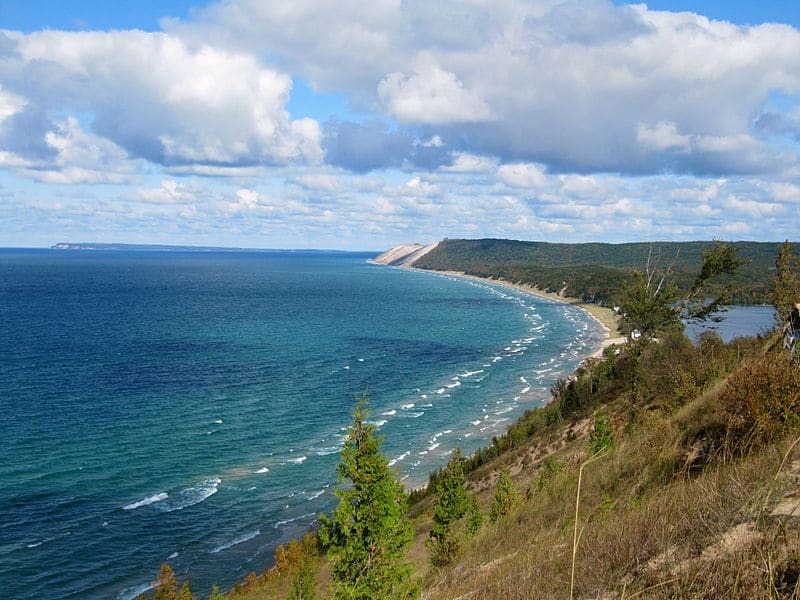 As a part of the National Park system, it’s home to some of Michigan’s most stunning natural landscapes. Sixty-four miles of pure wilderness await you in the form of beaches, hills, coves, and islands. While most people who visit just come for the lookout on Pierce Stocking Scenic Drive, there is so much more to see. Do yourself one better and explore a little deeper. Take a walk along the beach or stroll through the ghost port of Glen Haven. After, make your way over to the Empire Bluff Trail for a little hike. This easy pathway offers some of the most stunning coastal views. Bring a good travel camera and come prepared to snap a lot of photos. 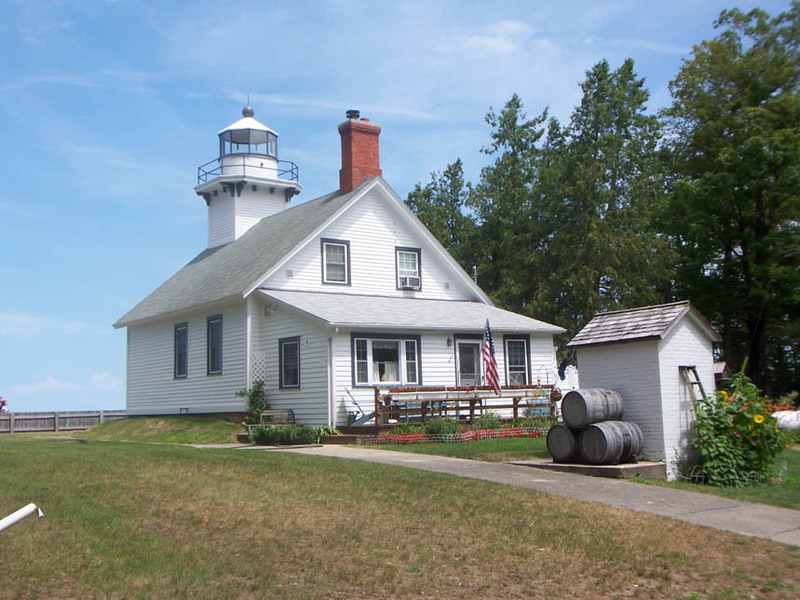 Nineteen miles up the Old Mission Peninsula, you’ll find this beautiful old lighthouse. If you’re looking for fun things to do in Traverse City, this is one of our favorites. There’s something about this city and the coast that has a vibe from a Hemingway novel. Is anyone else thinking about The Old Man and the Sea? The Mission Point Lighthouse was in use from 1870-1933. Today, it’s open to tourists who want to climb to the top for the views of Lake Michigan and the shores. Do you want to pick up a souvenir for your Aunt Betty? You can do that too. There’s a cute little souvenir shop right on site. After you come down from the top, there’s plenty of trails to explore outside. Wind your way through one of many that run miles throughout the park. On these same grounds, you will also find the Hessler Log Cabin. 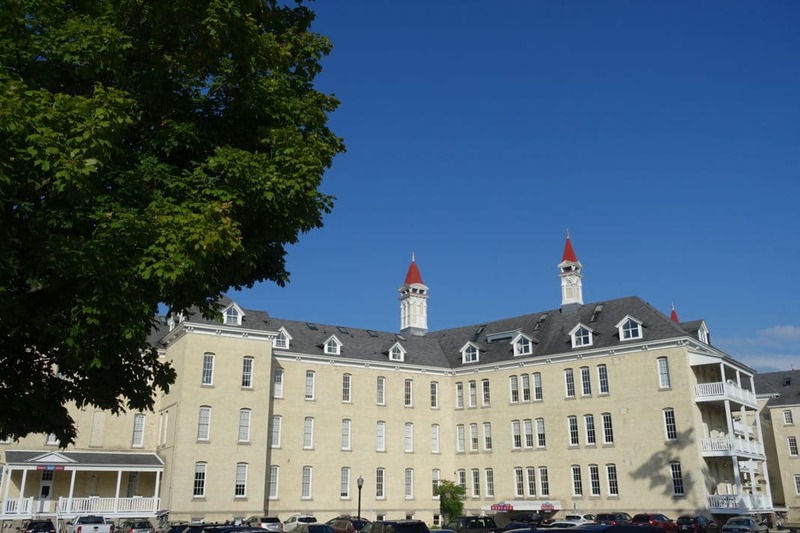 If you’re not familiar with the name, it was the home of the pioneers Joseph and Mary Hessler who built their home here in 1854. These crafty folks constructed their house out of hemlock and white pine trees, clearing about sixteen acres to carve out their own plot of land. Talk about tenacity. Affiliated with Northwestern Michigan College, the Dennos Museum Center is an art gallery chock full of Canadian Inuit art. Much of it originates from the Baffin Island area in Nunavut. As the second largest collection of Canadian woodland Indian art, it offers a fascinating place to visit for both locals and travelers alike. In our book, spending the afternoon here is one of the best things to do in Traverse City. While you’re there, keep an eye out for some works by the Hungarian artist Jozsef Domjan. We won’t give too much away. But we’ll just say his work is absolutely stunning. There are also fascinating pieces of American and European graphic art as well as Japanese prints from the 18th and 19th centuries. If you’re interested in diving a little deeper in the artistic scene, you should know that the gallery has a shop, permits school visits, and offers a concert series as well as programming for youth, adults, and families. There’s nothing quite like hands-on learning. This educational museum is the perfect place to bring your kiddos between the age of a toddler and ten. Ever since their doors first opened in 1988, they have been making locals and travelers happy and keeping your mini-mes entertained. The Great Lakes Children’s Museum is home to cool exhibits showcasing the effects of gravity, the water cycle, allows them to build model bridges, use a periscope, and even play on a Great Lakes freighter. What a cool experience! But wait. That is not all. There’s also a puppet theater where kids can stretch their imagination and a room designed to help them along with their fine and gross motor skills. 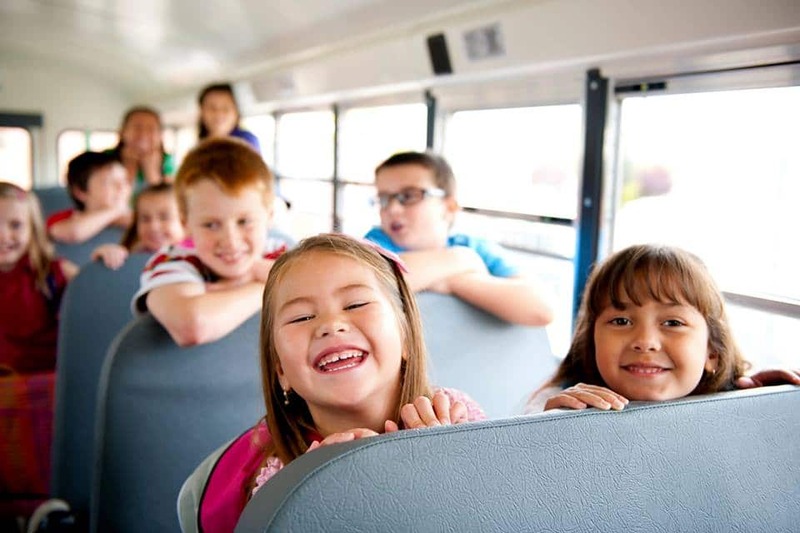 Go on a field trip, come for a birthday party, and enjoy the nature and science programs. This is one of the best things to do in Traverse City, Michigan. 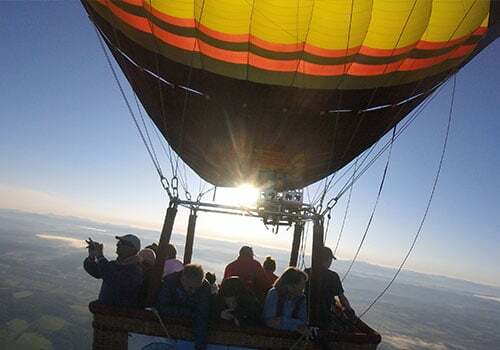 If you plan on visiting in the summer, we highly recommend taking a ride with Traverse City Balloon Tours. Who doesn’t have riding in a seven-story-tall balloon on their bucket list? We’ve all watched Up. These flights are led by an F.A.A.-certified and are completely safe. Most of the flights last an hour which gives you plenty of time to check out all of the sights. Plus, with a view from 2,000 feet in the air, you’ll be able to soak up all the beauty that the city has to offer. Gaze upon wineries, forests, lakes, rivers, and more. 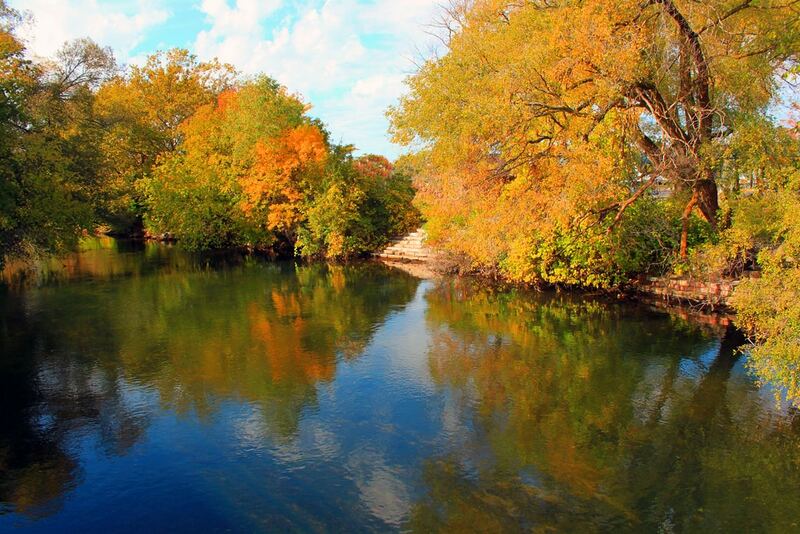 Fall is also a great time to take the tour as the trees change into a kaleidoscope of colors. It’s time to book your getaway. While Michigan isn’t the typical place you’d think of booking a vacation, that is what makes it so special. Sometimes you just need to escape the bigger cities and get a little bit off the grid. This small town offers so many fun opportunities for exploration in a charming setting. You won’t easily run out of things to do in Traverse City. So come and enjoy all that it has to offer before it lands on the travel radar. Have you been here before? If so, we would love to hear from you. If you have any suggestions for activities that were not on our list or any questions for us, feel free to leave a message in the comment section below.